This is super easy! Start with a good quality butter. Whip it (whip it good...). 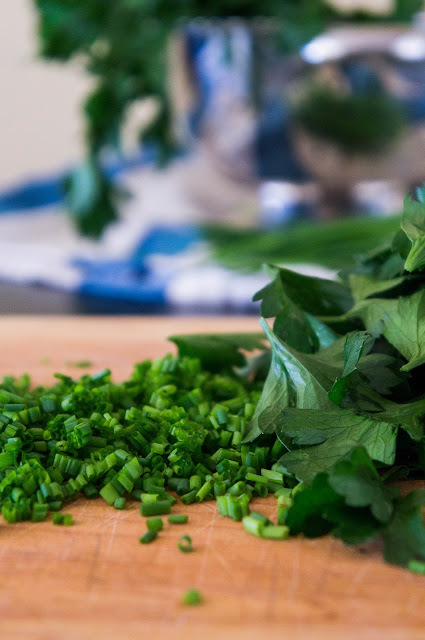 And then stir in all your finely chopped green goodies, with some lemon zest for good measure. If your butter was not salted, add some salt to taste. I like to eat this on toast. I may have also melted it onto some popcorn while crying during P.S. I Love You. I can’t be the only one, right? And if the popcorn doesn’t help, drink an Irish coffee. With a hand mixer or stand mixer, whip your butter until it lightens in colour, about 3 minutes. Add in all the chopped herbs, lemon zest, salt, and stir to combine. If you like, wrap butter in cling wrap, roll into a log shape and chill. Then you can slice pretty rounds. If you’re like me, pile it into a bowl haphazardly. The herbs can most definitely be replaced by any that you like (rosemary, thyme...) and amounts can be adjusted if you like it less herby. Lovely idea for a green food! 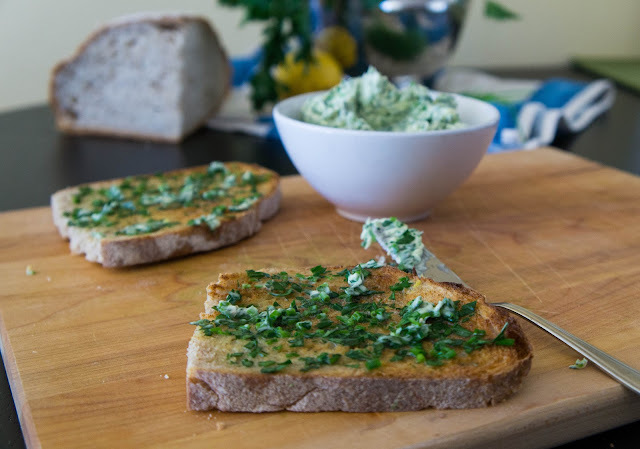 Popcorn with herb butter sounds delicious! Please do, let me know how you like it! 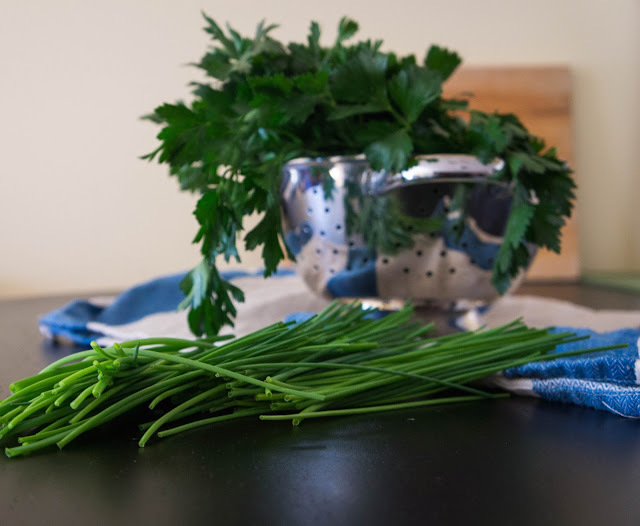 Ah, melted butter on toast plus the fresh flavor and aroma of herbs! 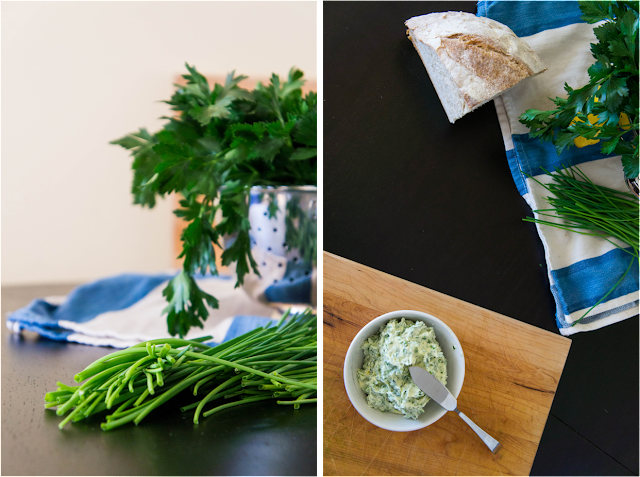 I wrote last fall about an anchovy-dill butter and various ways to use it--it's amazing how something so simple as a flavored butter and really dress up simple foods.